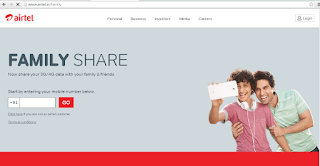 Hello Friends, availabeSome days ago airtel have started data sharing service.Now you can share airtel data balance with family and friends.Just recharge your airtel sim with big data pack and share with your friends and family.This service available for airtel only.If you want to share your data balance then you need to add your friends mobile number to data sharing list.Data balance will be decrease from your balance only as they use.If you have big friend circle or family then this service you can use.Collect money from others and recharge a big data pack by this you can save some money as small data pack rate is high.This guide will help you .By this you can send or receive data from anyone.Here we have two method to do this process. First Recharge your phone with 3G or 4G data pack to share data balance. Now Enter Your Mobile Number and verify using One Time Password. (you will receive One Time Password in your mobile). 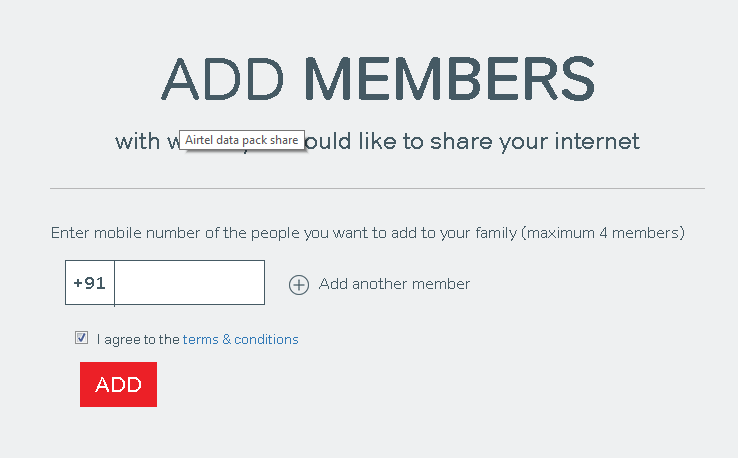 After Logged In Enter any Airtel number as your choice.With whom you want to share data balance. Then You Will Get success message. Now data balance will be cut form your account when your friend use data balance. 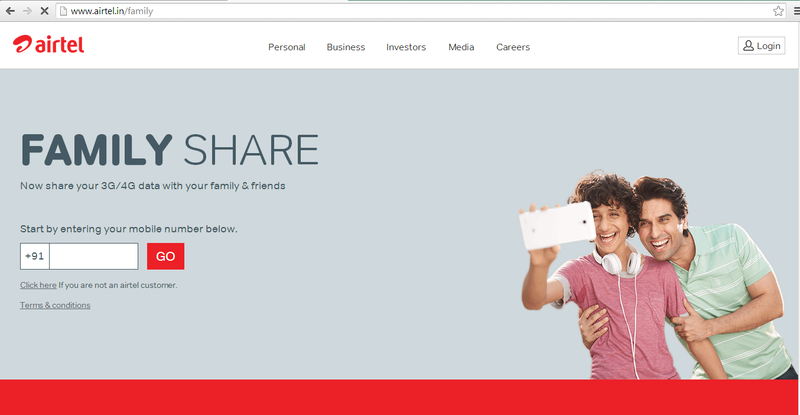 Above method was Share Airtel Data Balance with Internet.You can add airtel number to your data sharing list without using internet also. 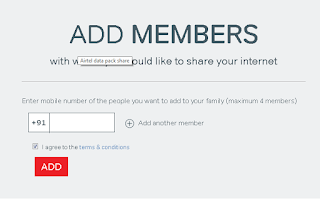 This is an alternate method to share data balance with your friends or family.Just you have to send message to 121.Maximum 4 airtel number is allowed in Data sharing service. Follow below easy method to add mobile number to data sharing. Mobile number will be added to your data sharing list. If anyone using huge data and you want to delete that mobile number from data sharing list.Send a SMS from your airtel sim and delete that number. Type DEL (Your Friend's Mobile Number) and send it to 121. The Number will be removed quickly from data sharing list. Once number is removed he/she can't use your data balance later you can add that deleted number again in your data sharing list. If you have any suggestion or question then you can ask me on comment box..and share this post using below social sharing button to support us.